12 of the best Rega turntables of all time | What Hi-Fi? To call Rega a little bit dominant in the world of turntables would be rather an understatement - of the 24 turntable Awards we’ve dished out over the last five years, Rega has scooped up precisely half of them - leaving its rivals to scrap over what’s left. Those Award-winning current turntables didn’t come out of nowhere, though - they’re the culmination of 46 years of tireless development and refinement and built upon the legacy of the turntables that have gone before. That makes this a perfect time to revisit Rega’s greatest hits, from its very first turntable to its most recent Award-winners. Pre-Rega, founder Roy Gandy spent his free time installing, upgrading and repairing turntables. Dismayed by the poor reliability of the decks he was seeing, Gandy set out to make an alternative with real solidity and longevity. He also wanted his first turntable to look different to everything else that was available at the time. “Why can a turntable not have three outrigger points spinning round, that people might buy as a piece of sculpture?” he asked. The result of his experience, goals and theorising was the Rega Planet, with its three-spoke, steel and aluminium platter and Acos Lustre tonearm. This was also the beginning of Rega as a company. As you'd assume from the name, the Planar 3 was not the first Planar by Rega. What's more, the model we're highlighting here wasn't even the first Planar 3. What makes this the Planar 3 to focus on is the RB-300 tonearm that came pre-installed on it. Having used Japanese and Danish manufactured arms for the first decade of its life, Rega's own RB-300 and RB-250 took performance to new levels and received plaudits that you might not expect, with Modern Metals magazine proclaiming that it was 'still trying to figure out how you produce such a long cored hole so accurately'. More importantly (we hope), we proclaimed at the time that the RB-300 edition of the Planar 3 'seemed to get so much more off the discs'. This is arguably the point at which Rega came of age. Rega spent much of the '80s and '90s focused on electronics and speakers, ensuring that someone looking to build an entire two-channel system could do so using Rega components alone. New decks were occasionally launched along the way but it's the P5 and its 15mm glass platter of 2002 that we're picking out. The idea here was to bring some of the features of the company's more premium turntables - particularly the P25 of 1998 - within the reach of more hi-fi fans, hence the aluminium surround, complex CNC machined skeletal low mass micro-fibre plinth, and the RB700 tonearm of the P7. It would take Rega 24 years to launch the second-generation Planar 3, called the P3 2000, but then just seven years to launch the third model - the P3-24. This model kept much of what made the original Planar 3 great but added some serious upgrades, including a new plinth, arm and motor. You could buy just the turntable and arm for £400, but our sample was also fitted with Rega’s own Elys 2 cartridge, a model that would become part of the Rega furniture for years to come. It was a terrific-sounding package, with class-leading and rival-obliterating drive and rhythmic ability. It’s fair to say this turntable left a lasting impression, so much so that it won the Product of the Year Award twice in a row. Rega's goal of combining lightness and rigidity bore striking fruit in 2012 with the launch of the RP8. The skeletal plinth was constructed using little more than foam - closed cell, polyolefin foam to be precise. 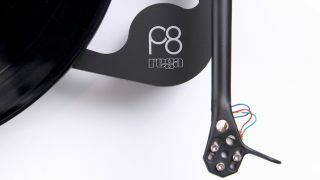 Phenolic resin skins were added to both top and bottom surfaces to deliver higher rigidity and an element of damping, but the RP8's plinth still wound up being seven times lighter than that of the original Planar 3. To say we were impressed by the RP8 - which is still available, by the way - would be an understatement. 'When the company really goes for it, shooting for the stars rather than trying to meet a price point', we said, 'the results are spectacular'. It should be clear by now that Rega is renowned for building brilliant turntables at the relatively affordable end of the spectrum, which is why the Naiad might come as a bit of a surprise - it costs £30,000. Not that you can buy one even if you had the money: only 50 were ever made. Built to celebrate Rega's 40th birthday, the company considers the Naiad to be the ultimate representation of its engineering ideas when executed with little regard for cost or ease of manufacture. In other words, it's the best deck Rega knows how to make. Unfortunately, we've never tested the Naiad - there'd be little point reviewing a product almost no-one could buy - but it's fair to assume it should sound pretty special, given Rega's track record. And it sure is pretty. We've always been fans of Rega's entry-level turntable, the RP1, but this enhanced version took things to a new level. Mostly, this is the same turntable we know and love, but with a few key tweaks. For starters, there’s a new, thicker drive belt. You also get a new mat: it’s thicker, and made of natural wool as opposed to the synthetic material of the original. The moving-magnet cartridge is new, too, with the standard Ortofon OMB5 having been replaced by Rega’s own Bias 2. We proclaimed the RP1 Performance pack a 'blindingly good turntable for the money, and a great entry point into the world of vinyl'. In 1976, three years after Rega’s creation, the Planar 2 launched as one of the brand’s very first turntables. Its S-shaped tonearm was then replaced in 1984 with Rega’s RB250, and at the turn of the century a brand new version of the deck – fittingly named the P2 2000 – took its place in Rega’s catalogue until 2005. Over a decade later, the Planar 2, having been developed over the past two years, was brought back from the dead – this time with the unabbreviated ‘Planar’ name. The only things existing from the original being the drive belt and the plastic mouldings for the dust cover lid hinges, despite the two decks looking remarkably similar. But changes included a new plinth, power switch, 24v low-noise motor, central bearing, platter and feet. Quite a lot, then. Most importantly, the Planer 2 received Rega’s new RB220 tonearm, which features new ultra-low friction ball bearings, a stiffer bearing housing and an automatic bias setting, making it virtually plug ’n’ play. We proclaimed it a 'proper step-up in performance from the RP1', which is saying quite a lot. Despite there being a 40-year gap between the original and current Planar 3, we surmised that if we put the two side-by-side, 'most people would be hard pushed to find any differences beyond the smarter plinth and the updated tonearm'. In actual fact, almost every part had been revised since the last iteration - the P3-24 of 2007. The company had, fairly unusually, put some real effort into the styling, too. The core of the turntable was the same, though: simple, well-engineered and designed to put performance first. "Want the best value turntable on the market? ", we asked. "This is it". £1400 is no small price to pay for a turntable, particularly when a perfectly capable version of the same turntable is available for £200 less. But, such is the quality of the combination of Planar 6 and Ania cartridge, it's a price well worth paying. 'It’s a frankly astonishingly refined and mature sound', we said in our review of the Planar 6, 'with refinement adding to the deck’s customarily musical and insightful performance'. It won an Award that year and repeated the feat in 2018. Will it be third time's the charm? You certainly wouldn't bet against it. If you're not one of the lucky 50 who managed to get hold of the Naiad, above, you should probably take a good look at this Planar 8, which is designed to encapsulate the essence of the Naiad at a far more affordable price. To these eyes it's a gorgeously designed turntable that looks like nothing else out there. It's vastly more capable than Rega's more affordable models, too, including the Planar 6. 'Rega has pushed the boundaries of performance at this level and has given premium rivals positioned above it plenty to worry about', we said at the time, and little has changed since. When we heard Rega had finally developed a turntable with a built-in phono stage, the reaction of the What Hi-Fi? reviews team was a mixture of relief, anticipation and a fair bit of "about time, too". The Planar 1 Plus is essentially a Rega Planar 1 turntable with the Rega Fono Mini A2D built in. Both are Award-winning products, of course, and Rega says it only felt natural to combine them together. We absolutely agree. 'Rega has struck gold in combining two superb products into one', we said, commenting that in some ways it's actually a better performer than when the turntable and phono stage are bought and combined as separates. This is a future classic and no mistake.